This post has been updated to reflect current Touch Bar for Outlook functionality. 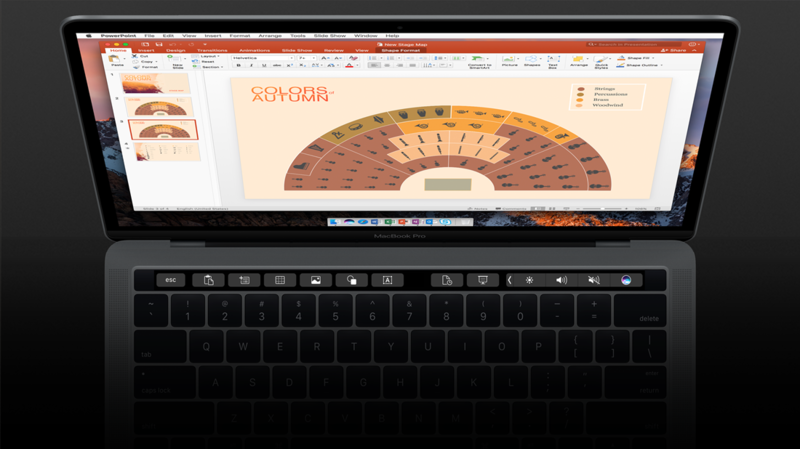 This post has been updated to reflect additional Touch Bar functionality for Word and PowerPoint for Mac. Also, February updates to Word, Excel and PowerPoint for Mac include a new object rotation slider on the Touch Bar, which provides a more intuitive and precise rotation experience. 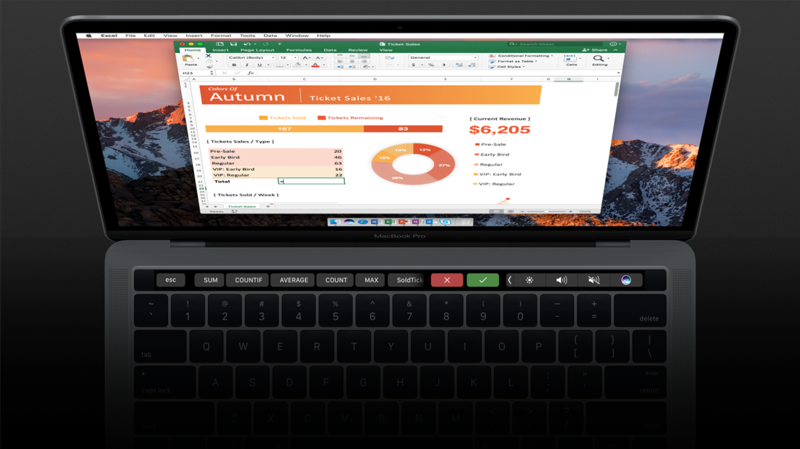 At the Apple event earlier today, we announced that Office for Mac is adding Touch Bar support. We have a long history of working with Apple to support new form factors and devices, and—as you can see from the news this week—we’re continually evolving Office to take advantage of the latest and greatest hardware innovations across the industry. Through the Touch Bar, Office intelligently puts the most common commands at your fingertips—all based on what you’re doing in the document. Here’s a quick summary of what we announced in Cupertino this morning. 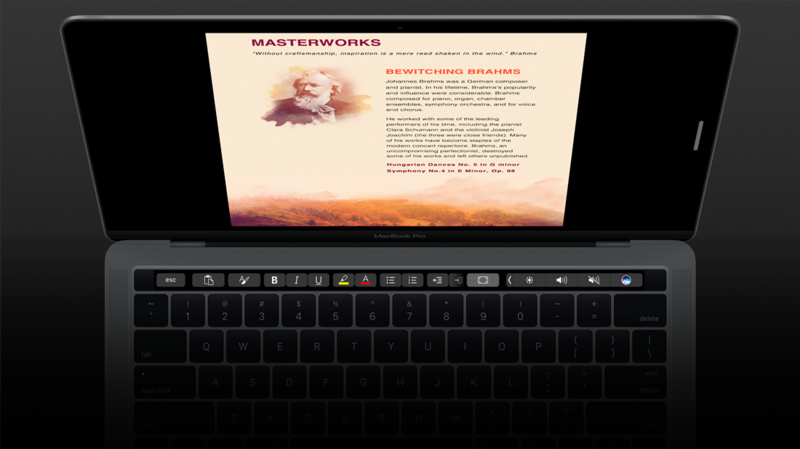 Now from the Touch Bar you can enter Word Focus Mode, a brand-new experience that hides all of the on-screen ribbons and commands so you can simply focus on your work. The Touch Bar is perfect for this moment, putting the most relevant Word features at your fingertips. One tap and you can quickly apply a new style to a heading or paragraph. You can also now insert comments, photos or hyperlinks directly from Touch Bar. Touch Bar commands in PowerPoint allow you to easily manipulate graphic elements. The Reorder Objects button produces a graphical map of all the layers on a slide, making it easy to find the right object and move it where you want it. And by sliding your finger across the Touch Bar you can easily rotate an object to get just the right angle. Controls are now available on the Touch Bar when your presentation is available in Slideshow View, including slide thumbnails and a timer to help you keep track of time as you present. Typing an equals sign into a cell in Excel immediately pulls up the most recently used functions in the Touch Bar. For example, with a tap (for the formula) and another tap (for a named range) in the Touch Bar, you can quickly sum a range in your spreadsheet. The Touch Bar also provides quick access to borders, cell colors and recommended charts—making it easier than ever to organize and visualize your data. 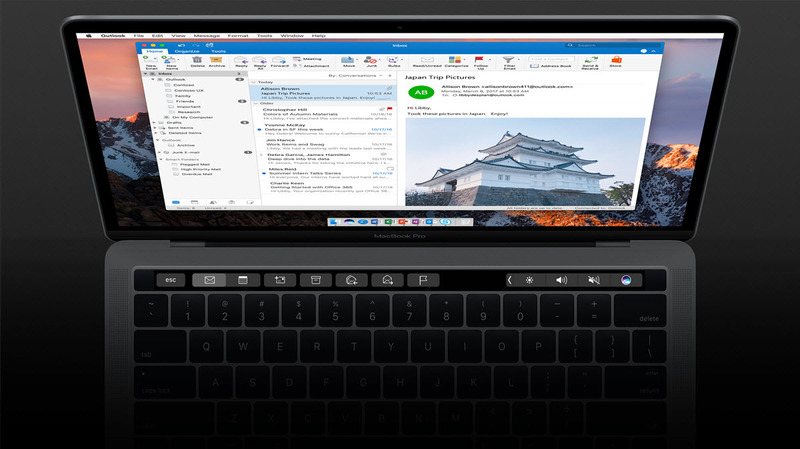 Finally, the Touch Bar in Outlook provides quick access to the most commonly used commands as you work on email and manage your calendar. When composing a new mail or meeting request, the Touch Bar displays the common formatting options. When viewing your calendar you can switch between different views. And when viewing the reminders window, you can join an online meeting with one tap on the Touch Bar. It’s been an exciting week—and a particularly rewarding two days for us here on the Office team. As you can imagine, there’s a lot of work that goes on behind the scenes to bring these ideas to life, and it’s a thrill to finally show you what we’ve been up to. 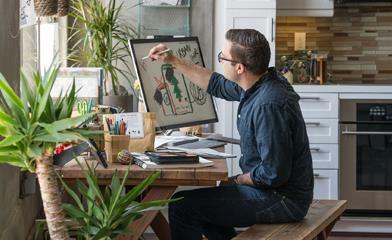 From the announcements we made with the Windows and Surface teams on Wednesday—including Ink Editor, Ink Replay, digital ruler, Segment Eraser, support for 3D models and integrations with the Surface Studio and Surface Dial—to the Touch Bar integration we unveiled with Apple this morning, we’re working hard to take advantage of the very latest in hardware and software innovation from across the industry.